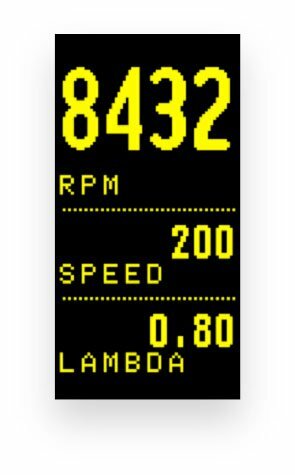 Small in size, big in performance, our 2.4” High-Contrast OLED Micro Dash Display is suitable for most after-market ECUs and for OBDII (ISO15765). 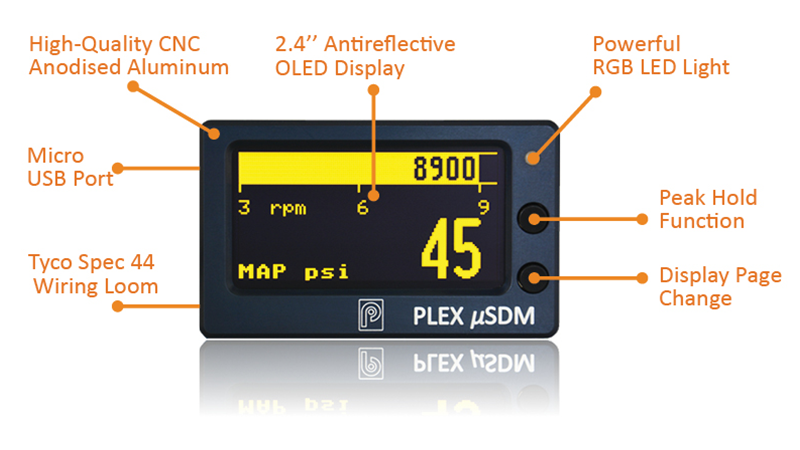 Being fully configurable (custom CAN BUS), the PLEX uSDM® comes with most of the functionality and the overall quality found on our larger SDM Dash Displays. It works both vertically and horizontally and is the right product for quality driven customers who are constrained on size or budget, but who also demand versatility and customisation. 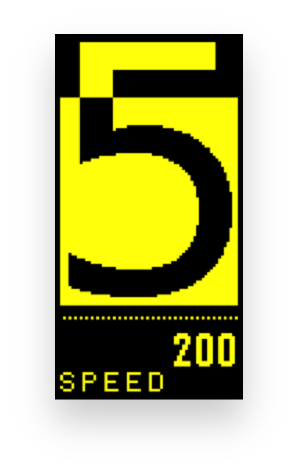 High-contrast vivid and low-distraction graphics. 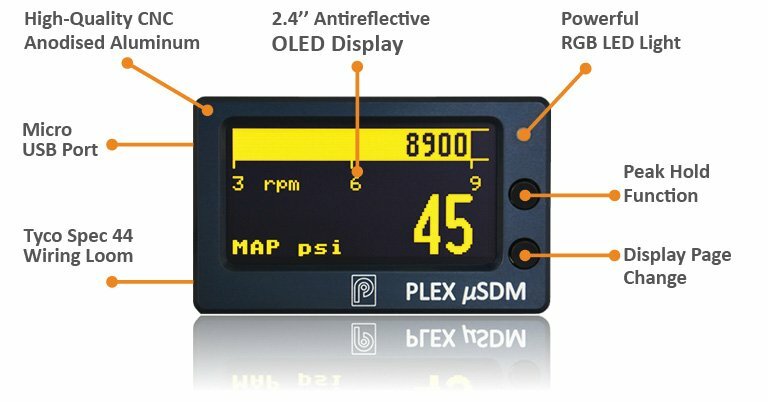 Auto display dimming & anti-reflective coating. Effective viewing ergonomics. 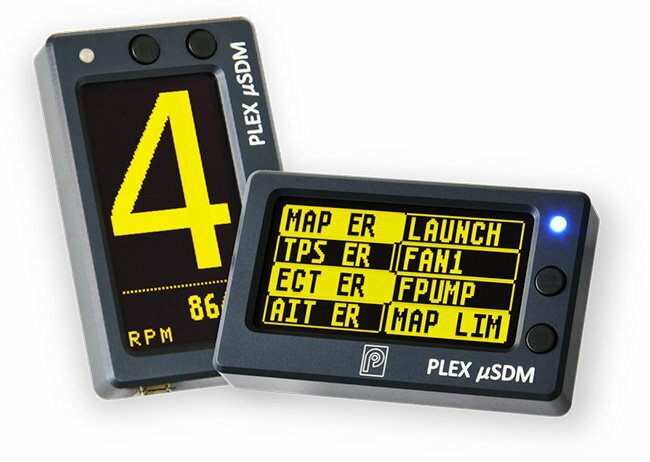 Continuous independent log of key engine parameters such as RPM , MAP, ECT, OILT, FUELT, EGT1, EGT2 and min. 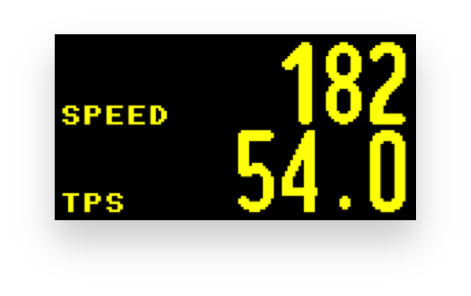 BATV, which are displayed in histograms. 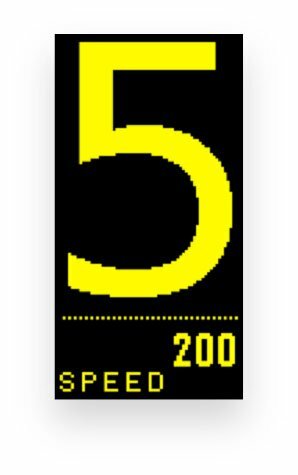 The 20Hz display refresh rate ensures a smooth real-time experience with zero lag in value updates. 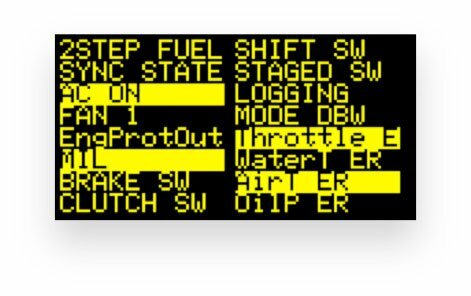 Advanced yet easy and quick to use configuration SW. Full CAN BUS configuration, Math Channels (μSDM-102), Engine Log Review & free Updates. 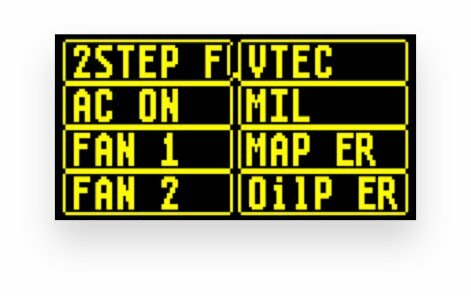 Display up to 128 data / flag channels: ECU, OBDII, sensors and internally calculated. View what’s crucial & act when necessary. and military spec wiring (Tyco Spec44) ensure a rigorous and long-term use. Very bright 2.4” Anti-reflective OLED display ensures optimum viewing ergonomics from all angles and in all light conditions. 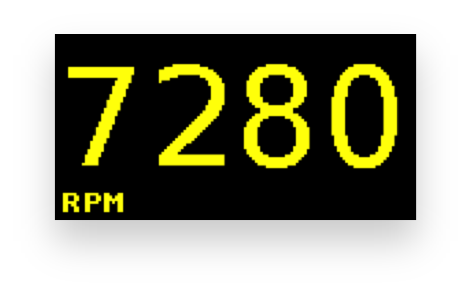 We chose yellow-on-black because of its inherit vividness as it allows reading the display information with just a quick glance. 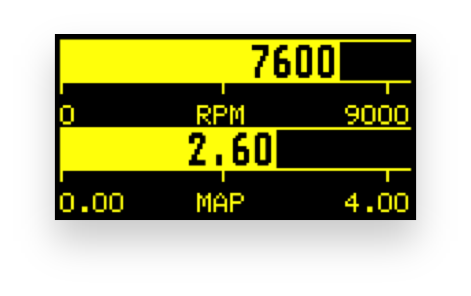 There’s also an auto-dimming function that adjusts the display’s brightness to match external light conditions. 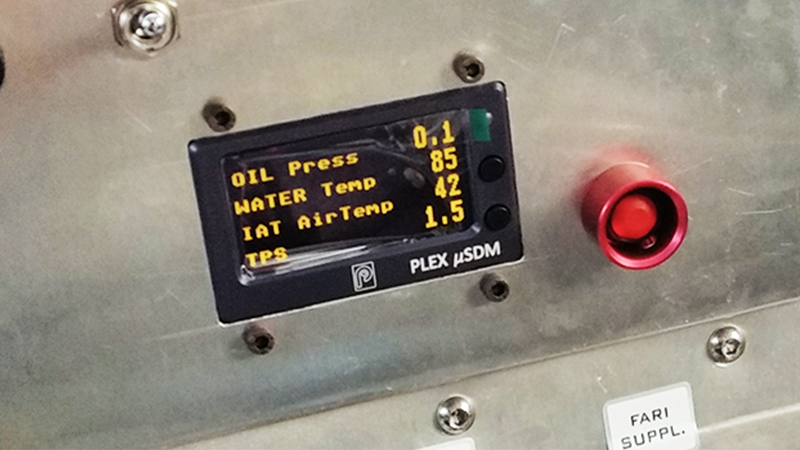 Depending on your preferences or project requirements, you can install the μSDM® horizontally or vertically, as it comes with display page layouts for both orientations. 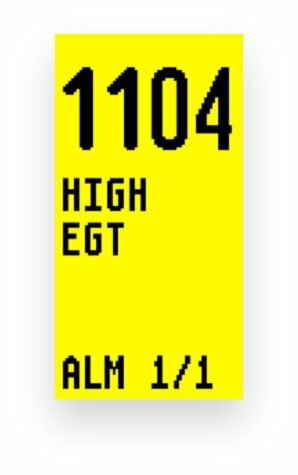 The vertical orientation makes it ideal as a gear indication display with ultra-large gear numerals but can also be used with alternate display page layouts for various other applications. 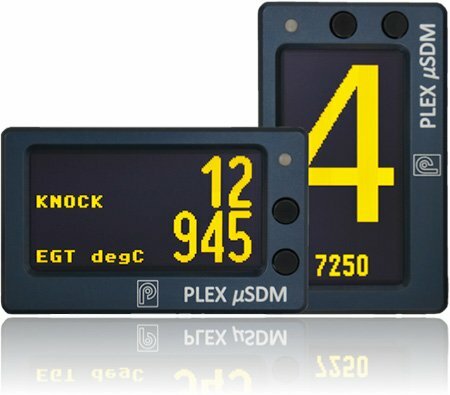 Like our larger SDM Displays, the PLEX μSDM® comes with Auto Display Page Changing which allows you to keep your hands on the wheel and your focus on the track without having to manually switch among different page layouts. 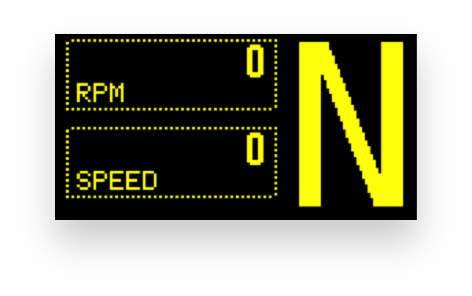 You only have to decide on the conditions and the parameters for 4 different display pages: “WARM-UP”, “RACE”, “ERROR” and “NORMAL” and once the thresholds are reached the μSDM® will automatically switch to the respective page, like in the below example. 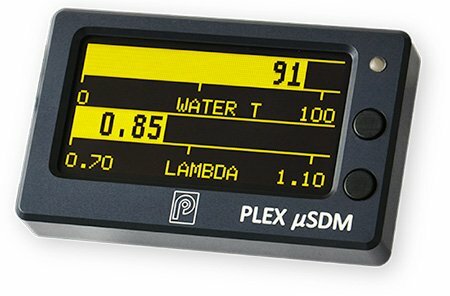 Depending on your ECU’s capacity and the connected sensors (μSDM-102), the μSDM® can display up to 64 different channels. 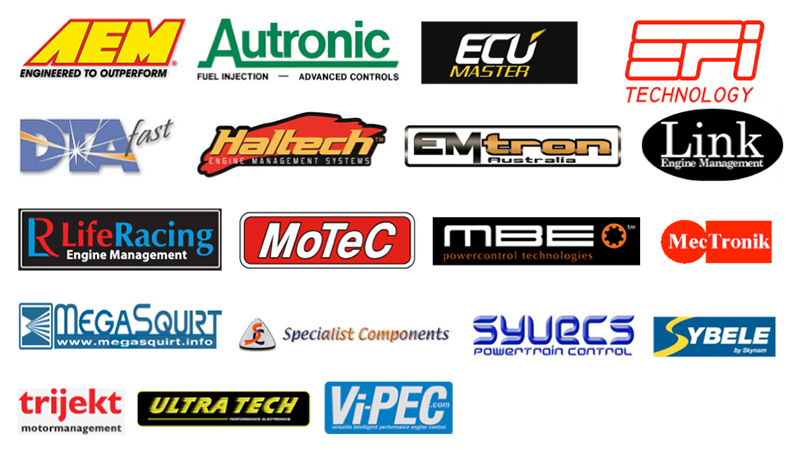 Always be in the know of what’s going on inside your engine. 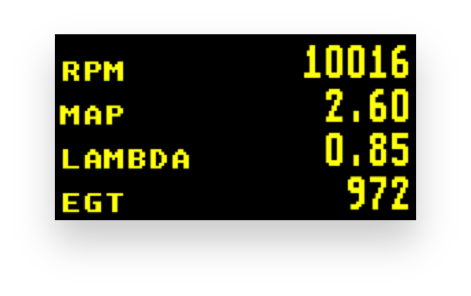 Easily view the the maximum value of every displayed parameter with just 1-Click. Then, either click “Back” to maintain this value in memory, or click to dismiss and start fresh. 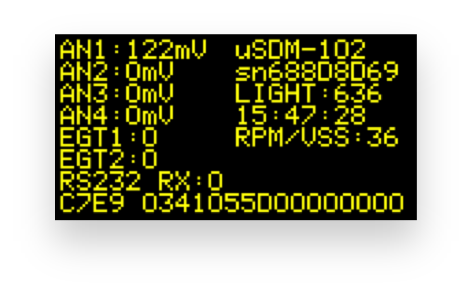 The μSDM comes with a permanent Engine Log function, which keeps an independent archive with min. and max. 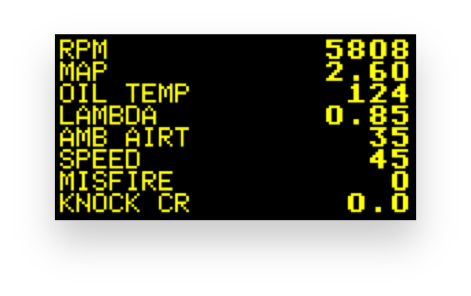 values on key engine parameters such as RPM, MAP, ECT, OILT, FUELT, EGT1, EGT2 and the min. BATV. 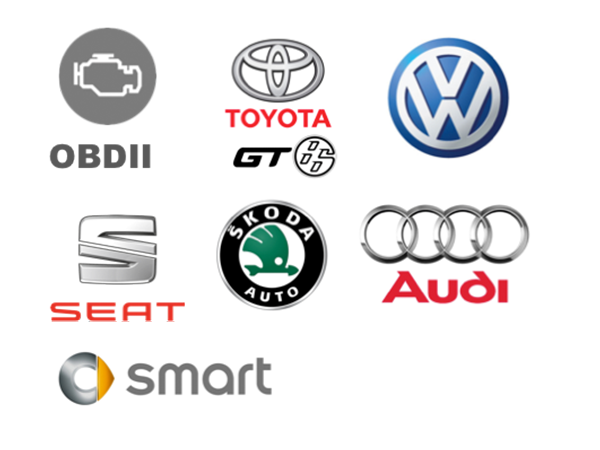 20 pre-loaded Smart Alarms which only require that you input their trigger value reduce set-up time by more than 80%. 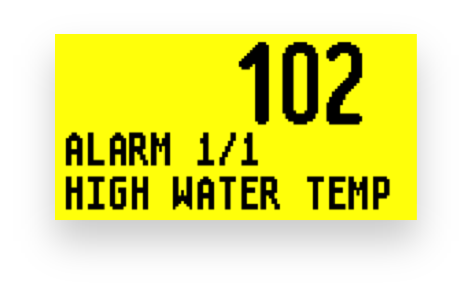 Alarms will flash in high contrast according to set priorities. A history of the last 50 alarms including their date, value and duration will be stored in a log for later retrieval on the PC SW.
A powerful RGB LED Light acts both as a configurable colour shift light (solid & flashing modes) and status light that can indicate alarms, even when displayed message pushed temporarily to the background, and datalogging memory status. More than 10 different display page layouts in horizontal mode and 4 in vertical mode to choose from. 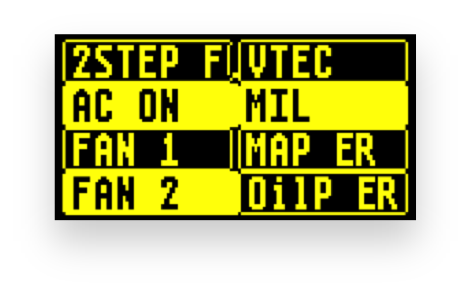 In each layout users can select the ECU/OBDII channels to be displayed on each position / gauge and also decide on the metrics. 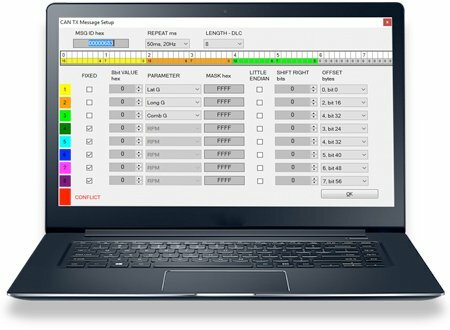 32MB internal memory capable of logging up to 3hrs at 20Hz rate that you can post analyse with our PC Analysis SW (coming soon). 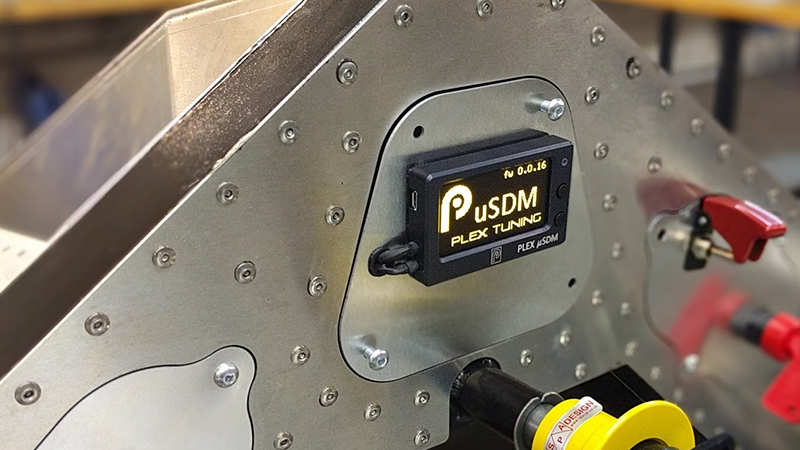 4 user-defined math channels allow custom parameters to be calculated in real-time. 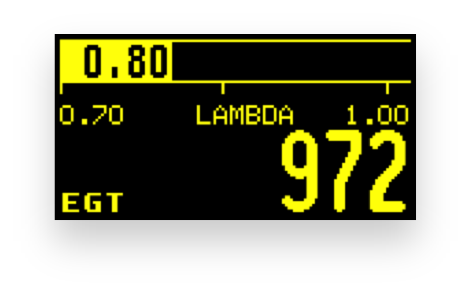 Examples: break bias calculation, long-button hold detection, accumulated condition active time, and more.